Hugh's Handbuilt Lowering kit 3"
Hugh's Handbuilt Lowering Kit 1"
MikesXS was launched in 2001 with the XS650 rider in mind and has continuously been the largest and most comprehensive supplier of XS650 parts. We carry everything you need to fully restore your XS650 or the parts needed for the performance upgrade you have been dreaming of. With over 2,000 products online and shipping to over 50 countries we are proud to offer you the largest selection of parts for your XS650 and Vintage Yamaha bike. This includes, Pamco Ignition Parts, Brakes, Exhaust Systems, Suspension, Cables and much more. 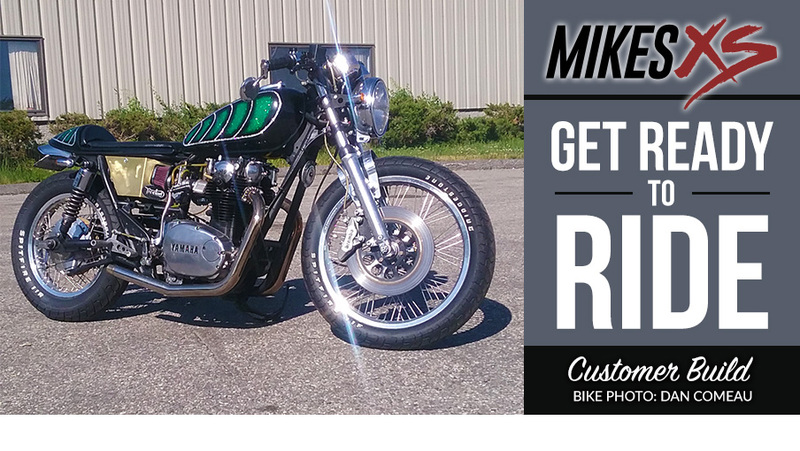 With our selection of parts we are your one stop for your XS650 or Yamaha restoration.